In the eighty-year history of the Baseball Hall of Fame, no two milestones have ensured a position players’ election to Cooperstown more than 500 home runs and 3,000 hits. New York Yankees slugger Carlos Beltrán achieved two milestones this season by collecting both his 400th home run and 2,500th hit. However, neither of these totals guarantee Beltrán a bronze plaque in Cooperstown. Moreover, at age 39, Beltrán's career is winding down and it is doubtful he will attain the 500 home run or 3,000 hit-milestones that would make his Hall of Fame candidacy an open and shut case. Nevertheless, Beltrán has quietly put together a fine career and, by reaching the secondary milestones of 400 home runs and 2,500 hits to go along with his other accomplishments, the veteran slugger has greatly strengthened his Hall of Fame case. Born on April 24, 1977 in Manati, Puerto Rico, Beltrán immediately made an impact at the major league level, winning the 1999 Rookie of the Year Award. 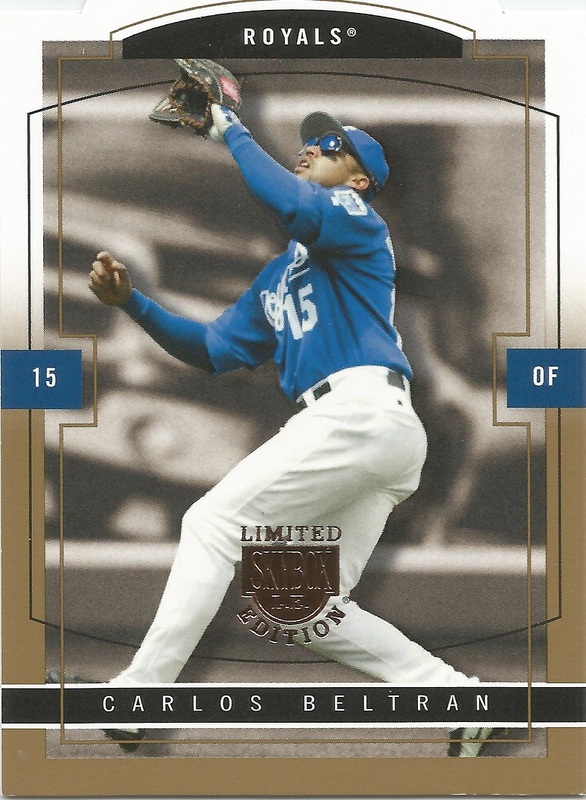 Beltrán played his first several seasons as a switch-hitting center fielder for a cash-strapped Kansas City Royals franchise that typically finished last in the AL Central. Despite playing for a losing team in a small market, Beltrán was recognized as one of the game's most complete players and was a highly sought after commodity when he became eligible for free agency following the 2004 season. Beltrán signed a 7-year, $119 million dollar contract with the New York Mets, which was one of the richest contracts in baseball at the time. 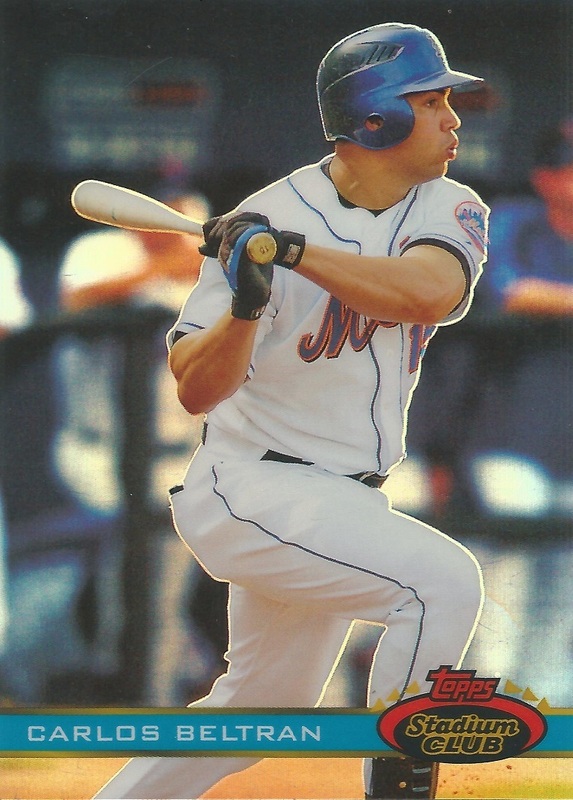 Beltrán was a true five-tool player during his time in Kansas City and first several seasons with the Mets, regularly scoring and driving in 100 runs, efficiently stealing bases, and picking up Gold Glove Awards for his work in center. Knee injuries robbed Beltrán of much of his speed and necessitated his move to right field in 2011. 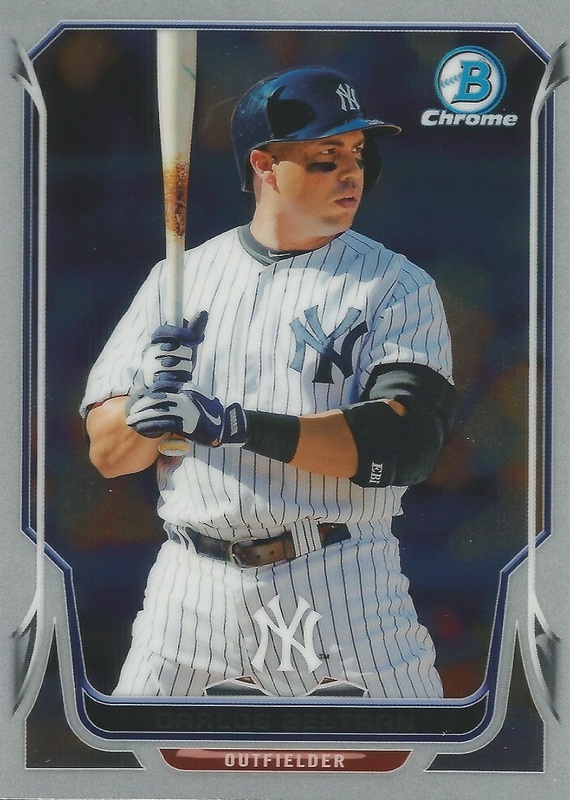 Nevertheless, Beltrán has continued to contribute as a veteran player, helping the St. Louis Cardinals win the 2013 NL Pennant before signing with the Yankees as a free agent. Beltrán used his five-tool abilities to not only attain 400 home runs and 2,500 hits but also achieve several offensive and defensive accomplishments over his distinguished career. While Beltrán has never been a perennial threat to lead the league in home runs, he has displayed consistent power throughout his career, reaching the 30-home run plateau on four occasions and the 20-home run plateau eleven times. Beltrán has frequently hit for a high batting average as well, finishing four seasons with a .300-or -better mark. Beltrán's potent bat earned him back-to-back Silver Slugger Awards in 2006 and 2007. In addition, Beltrán has exhibited patience at the plate, drawing over 1,000 walks in his career to put up solid OBP numbers to support his strong batting averages. Prior to being slowed by knee injuries, Beltrán was one the game's most prolific and most successful base stealers. Beltrán has had four seasons of 30-or-more stolen bases and seven seasons of 20-or-more swiped bags. Moreover, with 311 career stolen bases and over 400 home runs, Beltrán has joined Barry Bonds, Alex Rodriguez, Willie Mays, and Andre Dawson as the only five players to steal 300 bases and hit 400 home runs. Even more impressive than Beltrán's stolen base totals is the incredible 86.4% success rate with which he accomplished them. In fact, Beltrán's 86.4 stolen base percentage in 360 attempts is the highest success rate in major league history for any player with over 200 attempts. Beltrán's rare blend of power and speed was never more on display than in 2004 when he joined the 30/30 club with 38 home runs and 42 stolen bases--leaving him just two longballs shy of joining Jose Canseco, Barry Bonds, and Alex Rodriguez as only the fourth player, at the time, to achieve a 40/40 season. Beltrán hit at least 20 round-trippers in each of the years he stole 20 bases, giving the fleet-footed slugger seven 20/20 campaigns. The combination of Beltrán's power and speed along with his patience and ability to hit for average has enabled the switch-hitter to put together eight 100-RBI campaigns along with seven seasons in which he scored at least 100 runs. What's more, Beltrán reached the 100-RBI plateau in each of the years he scored 100 runs, giving him seven seasons with both 100 RBIs and 100 runs scored. The skill to both drive in and score runs has been a hallmark of Beltrán's talent throughout his career as, barring injury, the veteran slugger will achieve two more secondary milestones when he picks up his 1,500th RBI and scores his 1,500th run later this season. In addition to his dominant play on the offensive side of the ball, Beltrán was also one of the premier defensive players in the game. Beltrán's speed allowed him to exhibit the range vital to cover center field in his spacious home ballparks of Kauffman Stadium, Shea Stadium, and Citi Field. Beltrán also possesses one of the best throwing arms in baseball, enabling the five-tool talent to lead the league in assists four times and double plays turned on two occasions. Gold Glove Award voters recognized Beltrán for his excellence in center field, bestowing him with the honor for three straight seasons from 2006-2008. After a dozen years patrolling center field, knee injuries forced Beltrán's move to right. While Beltrán no longer owns the speed that made him an elite defender, his strong throwing arm has kept him among the league leaders for right fielders in assists and double plays turned. Aside from reaching the 400-home run and 2,500-hit milestones, Beltrán has also been one of the game's greatest postseason players despite never having won a World Series ring. In 52 playoff games and 223 plate appearances, Beltrán has 16 home runs, 40 RBIs, and 45 runs scored along with a superb slash line of a .332 batting average, .441 OBP, .674 slugging percentage, and 1.115 OPS. Beltrán has also displayed an excellent batting eye in the postseason with 35 walks compared to just 26 strikeouts. In addition, Beltrán has showcased his speed by stealing 11 bases without being caught. Although he has put together solid, if not spectacular postseason performances with each of his teams, Beltrán has often found himself with the right franchise at the wrong time--missing out playing on World Series-winning San Francisco Giants and St. Louis Cardinals teams by just a single season. Beltrán also has the misfortune of being remembered by some for the final out in Game 7 of the 2006 NLCS when he was froze by Cardinals pitcher Adam Wainwright’s near-perfect curveball for a called third strike. Nevertheless, the 2006 NLCS strikeout stands as one small blemish on an otherwise incredible postseason record in which Beltrán has played at an MVP-caliber level. Beltrán, who is in the final season of a three-year contract with the Yankees, has already stated that depending on his production this season, he will either play one more year or retire, which will leave the slugger well short of 500 home runs and 3,000 hits. Aside from players whose careers have been tarnished by PEDs, every position player to retire with 500 home runs or 3,000 hits has easily been voted into the Hall of Fame on the BBWAA ballot. By contrast, reaching 400 home runs or 2,500 hits are not a guarantee of Cooperstown immortality as several position players who have achieved one of these secondary milestones has fallen short of election in Hall of Fame voting. Nevertheless, whether he retires after this season or not, Beltrán will join Lou Gehrig, Billy Williams, Andre Dawson, Vladimir Guerrero, and Chipper Jones as one of only six position players to finish their careers with at least 400 home runs and 2,500 hits but less than 500 home runs and 3,000 hits. Texas Rangers third baseman Adrian Beltre also has attained the 400 career home run and 2,500 hit-milestones, but with 2,800-plus hits and at age 37, he has a strong chance to reach 3,000 hits. Beltrán's ability to achieve both 400 home runs and 2,500 hits certainly strengthens his Hall of Fame case but it is difficult to predict how the switch-hitter will fare in BBWAA voting. Of the five other position players with at least 400 home runs and 2,500 hits but less than 500 home runs and 3,000 hits, only Williams and Dawson have appeared on the BBWAA ballot. Gehrig was voted into the Hall of Fame in a special election while Guerrero and Jones have yet to appear on the BBWAA ballot but will be eligible in 2017 and 2018, respectively. Williams and Dawson both had to wait several years on the BBWAA ballot before receiving the call to Cooperstown. Williams was voted in on his sixth try, while Dawson had to wait until his ninth appearance to be elected. Williams and Dawson each had the luxury of being eligible to appear on up to fifteen BBWAA ballots before their candidacy expired. Beltrán, on the other hand, will only have ten chances to be elected by the BBWAA before his Hall of Fame case is turned over to the unpredictable Era Committee. However, some of the weaknesses in Beltrán's Hall of Fame case that may affect his chances with BBWAA voters are the lack of MVP support he has drawn throughout his career and that he has never led the league in a major offensive category. Beltrán's three highest MVP finishes were 4th in 2006, 9th in 2003, and 12th in 2004, while also collecting some down ballot support in four other seasons. 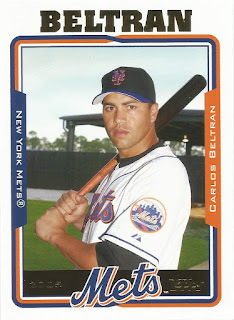 Although Beltrán has never paced the circuit in a major offensive category, he has finished runner-up in doubles, triples, and stolen bases on one occasion each while ranking second in runs scored two times. Moreover, Beltrán has led the league in several defensive categories on multiple occasions including putouts, assists, double plays turned, and range factor per game. By comparison, four of the other five position players who retired with the 400 home run and 2,500 hit-milestones won an MVP Award and also garnered strong support in other years--with their high vote totals often the result of leading in major offensive categories. Like Beltrán, Williams did not win an MVP Award, yet the Cubs slugger did finish runner-up in the voting on two occasions. Beltrán’s lack of MVP support and absence of league-leading boldface on his career ledger may cost him some Hall of Fame votes--particularly with the old school/less analytically-inclined members of the electorate. However, Beltrán should be aided by his eight All-Star Game selections, a total which is in-line with many Hall of Famers--as he has been chosen to start the Midsummer Classic by fan vote on six occasions and named as a reserve by manager choice twice. Furthermore, while Beltrán never won an MVP Award, his career is not completely devoid of end of the season hardware as the switch-hitter has been the recipient of the 1999 Rookie of the Year, two Silver Sluggers, and three Gold Gloves. In addition to his playing career accolades, Beltrán was also honored with the 2013 Roberto Clemente Award which recognizes the player who best represents the game through positive contributions on and off the field, including sportsmanship and community involvement. Throughout his career, Beltrán has been active in the communities in which he played in, made countless donations, and hosted multiple charity events. In 2011, Beltrán and his wife, Jessica, opened the Carlos Beltrán Baseball Academy near his Manati, Puerto Rico birthplace. The academy provides a dynamic learning experience which helps students focus on not only exceling athletically but academically as well. While Beltrán may struggle to draw Hall of Fame votes from BBWAA members who place a strong emphasis on MVP Awards and league-leading totals, he should pick up lots of support from the division of the electorate who focus on advanced metrics. Over the past several years, Wins Above Replacement (WAR), which combines a player's offense, defense, and base running into one statistic, has become the go-to advanced metric for many of the more sabermetrically-inclined BBWAA voters to evaluate a candidate's Hall of Fame case. As a five-tool talent for much of his career, Beltrán has been able to create value and help his team whether it be in the batter's box, with the glove, or on the basepaths. The culmination of this value has given Beltrán an impressive career WAR of 68.4, heading into the 2016 season. Beltrán's solid career WAR is higher than more than half of the position players in the Hall of Fame including Eddie Murray, Ernie Banks, Craig Biggio, Willie McCovey, Dave Winfield, Harmon Killebrew, and Lou Brock--each of whom reached the 500 home run or 3,000 hit-milestone. Another factor that may help Beltrán garner Hall of Fame votes is that he has been able to accomplish his career milestones as a switch-hitter while spending most of his career playing in center field. Beltrán's excellence from both sides of the plate gives his manager more flexibility in putting together a line up and causes opposing managers more difficulty in bringing in relief specialists to take advantage of a platoon split. In addition, during the dozen seasons Beltrán played center field, he gave his team's front offices more options in constructing a roster as his rare combination of power and speed allowed him to put up corner-outfielder offensive numbers while winning Gold Glove Awards. Beltrán sits near the top of many career leaderboards for both switch-hitters and players who have spent the bulk of their careers as center fielders. Among switch-hitters, Beltrán ranks in the top-five all-time in home runs and RBIs and in the top-ten all-time in hits and runs scored. Among center fielders, Beltrán is closing in on the top-five all time in hits and RBIs while also approaching the top-ten all-time in hits and runs scored. Throughout much of his career, Beltrán has been a five-tool player and his unique talents have enabled him to not only reach the 400 home run and 2,500 hit-milestones, but also steal over 300 bases and win three Gold Glove Awards. However, as well as Beltrán has played in the regular season, he has truly been phenomenal in the postseason where he has played at an MVP-caliber level. Beltrán's career also looks strong through the lens of advanced metrics where his career WAR of nearly 70 underscores just how valuable a player the switch-hitting slugger has been. Moreover, with both the 1,500th run scored and 1,500th RBI-milestones on the horizon it will be very hard for BBWAA voters to ignore the Hall of Fame worthy career that Carlos Beltrán has put together.